I have used Star H insurance for all my horses for the past 8 years. Three years ago I ventured on my own and started East Coast Equestrian during which they were extremely helpful and prompt with all of my questions and needs. Anyone who answers the phone there is always polite, professional, and extremely helpful. Their response time is AMAZING for all your business and equine needs. I do and will continue to recommend them to anyone in the equine community. I have been a customer of Star H Insurance for about three years now, for my horse farm liability insurance coverage. Jennifer Hansell, whom I now consider a friend, even though I have never met her, is always prompt, efficient, creative and professional in putting together my annual policy. By the way did I mention affordable. It is never a hassle as I have found with other companies. I love the way they do business. We had some really bad luck with injuries on 2 of our horses and if it wasn't for Major Medical coverage, financially we would not have been able to get the help needed and our horses healed. Star H was there for us every step of the way at any time. They are not just an agency handling your policies, they are caring horse people and friends to us. We had nothing but great experiences and recommend Star H to everyone we know. Star H is the partnership with our insurance provider that we were looking for. 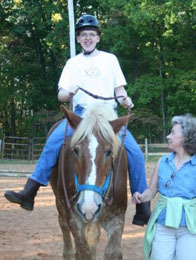 Riverwood provides a unique equine venture with insurance needs in many different areas including events, camp and clinics in addition to our therapeutic riding program. We have a large volunteer staff as well as employees. Riverwood’s programs take place outdoors and in our indoor arena / annex / barn, all under one roof. Butch took the time to come to the farm on more than one occasion to get to us personally and learn exactly what our insurance needs were. He is always available for questions with return phone calls within one day. Our cost for insurance with Star H was competitive with the cost of previous provider. I couldn’t be more please with service provided by Butch Human and Star H Equine Insurance. Terry Thompson, Terry Thompson, Inc.
I’ve done my Equine and Ranch Insurance with Butch Human of Star H Equine Insurance for 25 years. 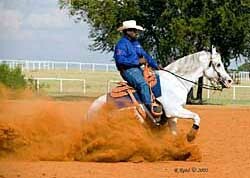 Thereason why – because not only is Butch a reasonable and capable man, but he’s also a horseman. So, when I have a problem Butch knows the equine language I’m talking about. He wants toget it done for me and my customers, not to avoid it and procrastinate about it. If you want to be a part of an established, knowledgeable equine insurance company of trust, give Star H and Butch a call. 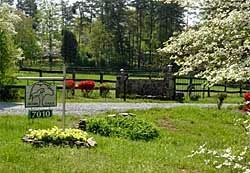 We have been very happy and pleased about having Pine Meadow Farm insured with Butch Human and Star H Insurance. It was so nice to be able to look at the policy and understand what is being covered and the amount it is being covered for. It is so pleasant working with Butch, and it always makes us feel better that he and his company understand horses and horse properties. Our rates are much better and for more coverage with Star H than with any other company that has ever given us a quote. Everytime we call to talk to someone, we talk to someone, or someone gets back to us very promptly. It is just a pleasure doing business with a company like Star H and great people like Butch and Lucinda. Thanks! 2006 NCHJA "C" Grand Adult Champion on her homebred "War Eagle"
I cannot tell you how happy I was when Butch contacted me telling me he was back in business. Other companies would give you the answers if you knew the questions. I ride and show horses. I don’t always know the questions. That is what is so great about Butch and Star H. He takes care of you, gives you the answers before you even have to ask the question. I am at ease knowing I have great coverage and nothing has fallen through the cracks. I recommend all my friends to Star H Equine Insurance. I have had my horse mortality, business liability and property insurance with Butch for over 20 years. During that time he proved to be knowledgeable, helpful, responsive and was very pleasant to work with, especially during the claims process. I trust his judgment and consult with him about impacts on my coverages before I make any changes in my business. I frequently refer my friends and associates to him with great confidence that they will be satisfied with his customer service. It’s great to have him back out of retirement! 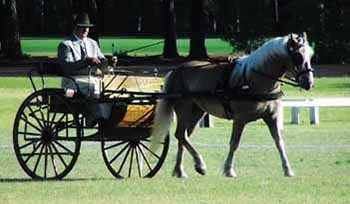 Specializing in training driving horses, ponies, mules an draft horses for pleasure and show. 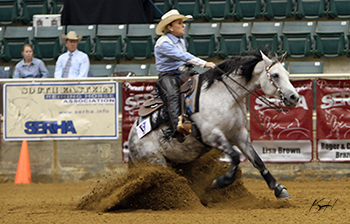 Star H Equine Insurance met our needs. 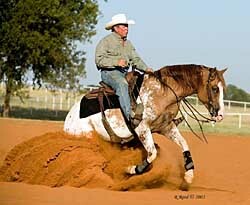 Butch knew what we were looking for in our operation of training and boarding driving horses. Star H is always there when you need them, answering our questions while making us feel like we are important to their business. So often I hear people say the reason they don’t have their horses insured is because if they can’t afford to replace them they shouldn’t own horses in the first place. Then those same people go on to say it would break them to insure those horses for what they are worth. Well, my thought, is if you can’t afford to insure them , then you shouldn’t own them. Especially when it is as easy as it is if you choose to insure with Star H insurance. They make the whole process so easy. Butch, Lucinda and Lisa Steller have all been so professional and helpful over the years that we have used Star H. From the first time I called to the most recent renewal (including telling me how to handle an almost emergency), everything always has gone so smoothly. Everyone treats you like a member of the family or a life long friend, even if you have never met face to face. You are definitely not just a policy number, even though I think they know them all by heart! 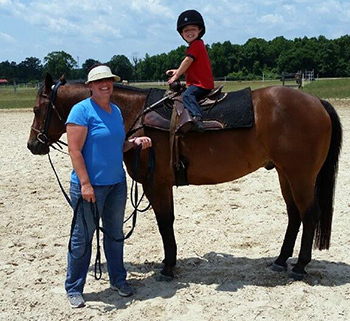 We have had our daughter’s pony, our hunters, jumpers, and now, our reiners insured with Star H. Butch was very happy to tell me we got a lower rate with Reiners than the jumpers. He was a bit surprised when I told him which horse we had bought, because he knew us as more than just a number. It was a great feeling knowing that he was the man behind Star H and that was the service we could always expect from everyone there.